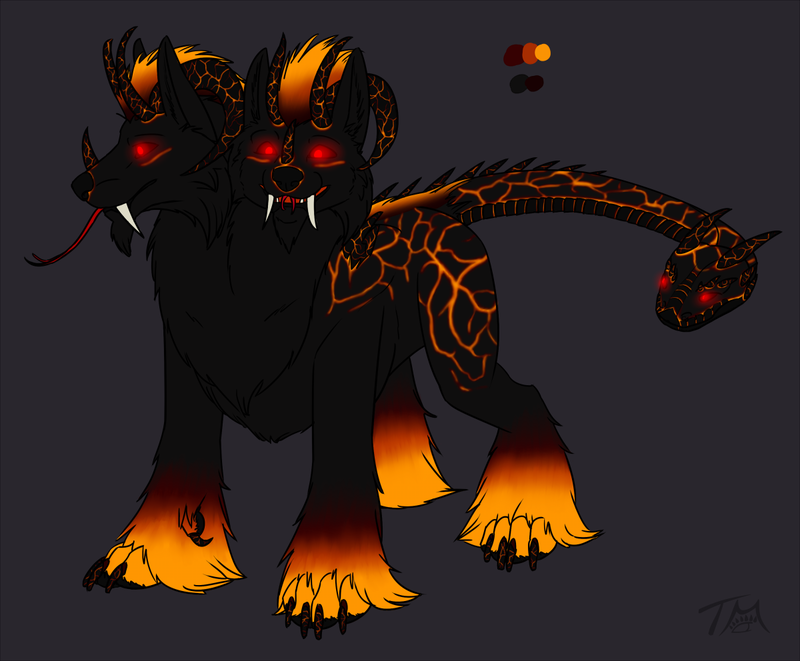 A male Karasuthrian magma hound! Finally got around to designing them (after my work on Cerberus...yay! )...there are a few others along this vein that I need to finish as well, but this one I believe is the most elaborate.